* Considering that, for the price, these are really the equivalent of a Cracker Jack toy, these Frozen minifigures are very well done. While the paintwork on the dress is a bit plain (it's just solid green compared to the film's more elaborate dress) it still gets the point across, looking neat and recognizable. This is a different pose for Elsa, but it fits the more excited and more laid back Elsa of the short film. * The likeness of the minifigure to Elsa is pretty good. The paintwork on her face is very cleanly applied, making her instantly recognizable. Not bad for a figure of this size. * I love the little stands these minifigures include to help keep them up on the shelf. Elsa has a snowflake that's molded in a translucent blue color, perfectly befitting her status as the ice queen. * The included cloak is a cool extra. Both Anna and both Elsa figures in this set include actual fabric garments and so far I've been impressed by the quality and printing of the material. 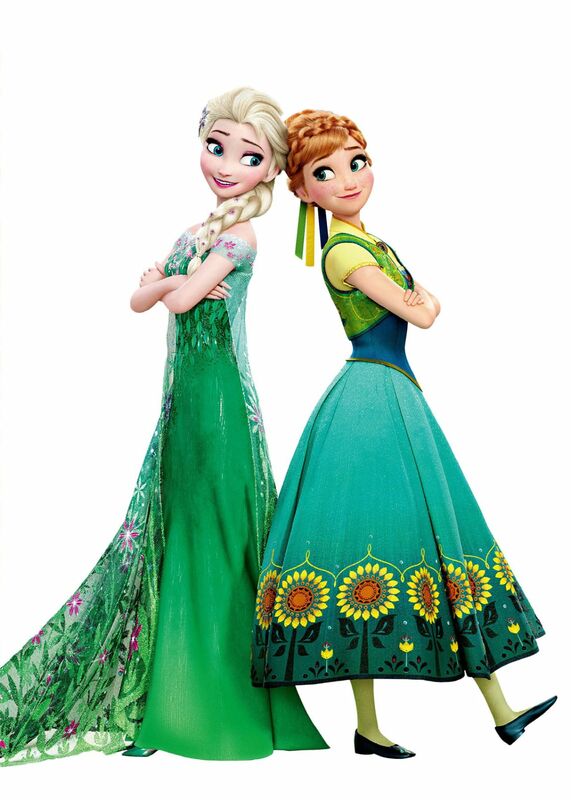 Elsa's looks fairly accurate to the film, featuring some fairly intricate floral patterns. * The only negative I have here is that the garments are not packaged or seemingly designed to appear fitted, thus they tend to flop around a bit. Maybe there's a way to fix that? My wife is quite a seamstress but I'm not sure I relish the thought of having to ask her for help in styling the cloak on a Frozen minfigure. While the toys in the first Kinder Joy eggs may have left a bit to be desired, both the Frozen and Jurassic World Kinder Joy toys are huge improvements. The Frozen figures are just straight up cool minifigures and this Frozen Fever version of Elsa is incredibly well done. Fererro is doing a nice job with this and I look forward to seeing what else they release in the future. Elsa is a Good and a 1/2 mini and is definitely worth considering for fans of Frozen and minifigures in general. For more reviews of Elsa items, check out the following: The POP! Disney Elsa, Marshmallow, & Olaf from Frozen set, the Figma Elsa, and the Kinder Joy Queen Elsa.